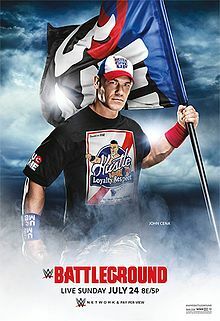 In many ways, Battleground personified the end of the modern era in WWE as we knew it. With the last quarrels left to settle before the official WWE Brand Split took place, this marked the final time Raw and SmackDown superstars would appear in the same ring together. The same rule was also in play for the main event, which put The Shield’s former members in an anticipated triple threat match for the WWE World Heavyweight Championship for the first and last time. 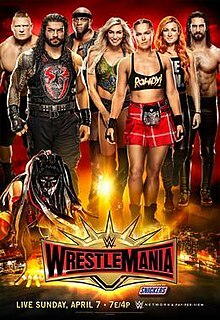 Washington D.C. was primed for a long night and came to life when they needed to, but with nothing truly groundbreaking outside of a Sami Zayn-Kevin Owens classic, a notable Women’s Division debut and Randy Orton’s return, this Battleground left us with a slight case of trenchfoot, ready for the new era to truly take over already. – With Battleground six days away and the WWE Brand Extension Draft even closer (the next day), there was a feel for change in the air. What better way to bring that out than to start the show with a long-winded talking segment that involves the McMahon clan? Original stuff, guys. The one saving grace here was that it served a purpose for us to find out who Raw Commissioner Stephanie McMahon and SmackDown Commissioner Shane McMahon each selected for their respective General Managers. Are you keeping up with the authority figures? Hope you like it, because there’s a lot of that here. There were also some half-assedly explained Draft “rules” – Raw got the first pick and for every two SmackDown picks, Raw would get three. Why? We don’t know. Better news was that six picks would come off the NXT roster. Oh, make them good. After some pointless sibling bickering, Steph announced that Raw would feature a new cruiserweight division exclusive to them. She then introduced her GM, which was Mick Foley to a nice pop. Foley’s promo here leaned more towards the humbled and appreciative as he used his experience when he partook in the Monday Night Wars to compare it to nowadays. That’s a bit of a stretch, but okay. More or less, the segment was stolen when Shane announced his pick, none other than Daniel Bryan. Yes, that one. The place went bonkers as you’d imagine. Bryan’s promo revolved around the “underdogs” and there were some moments where he stuck it to Steph, as she had her own responses that underdogs always end up at the bottom despite their rise. So, some more pointless bickering to end it but we got our big news. – A SmackDown novelty the past few weeks, we had another “promo mash-up” as a cold open to the show, which previewed the Kevin Owens-WWE World Heavyweight Champion Dean Ambrose/Sasha Banks-Dana Brooke matches and the MizTV segment that’d star Darren Young/Bob Backlund. 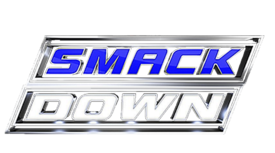 This was also regarded as the “end of an era” by commentary, as this was the last SmackDown to air on Thursdays, since from this point forward, it’d be live on Tuesdays. As for the promos, they were fun. Owens focused on a card Sami Zayn gave him last December for his son that had $20 in Canadian money and how it was horrendous since they were best friends at the time and promised to send Zayn to a hospital if he stuck his nose in his main event match with Ambrose. Good stuff. WWE Women’s Champion Charlotte did most of the talking in her open promo outside of a limo with Brooke as she again referred to Banks as a “Nicki Minaj knockoff” and Brooke swore that lightning wouldn’t strike twice. Next was WWE Intercontinental Champion The Miz/Maryse, as they prepped for MizTV and he lightly insulted his soon-to-be guest. Lastly, we had Ambrose who soaked in the last Thursday SmackDown as he embraced the chance to do something he loved with someone he hated. All sounds about right and then some simultaneous hype. Hopefully they keep these cold opens when they go live. – Just like last week, we had a cutesy promo mashup package to start things off, as Chris Jericho sought his lost scarf and mentioned that Sami Zayn would get “it” later in the main event. Zayn’s response promo questioned the result if he actually beat him. We also had an encounter between Seth Rollins and Jey Uso (actually didn’t know which Uso it was until he dropped his name) in the parking lot, as Rollins made a joke that the Uso family fell apart and insulted Jey’s father Rikishi for his posterior-esque career. Just like that, Jey challenged Rollins and it was on. Say what you want, but two matches were announced in one minute, so we had something to look forward. Will they keep these when SmackDown goes live? – Affected by flushed ratings and maybe an attempt to shake things up, WWE firmly decided to put the WWE World Heavyweight Championship around Dean Ambrose’s waist with the story of the latest Money In The Bank cash-in. At the same time, they’ve used the circumstances of a Roman Reigns-Seth Rollins Title feud as the catalyst for all three former Shield members to intertwine once more. WWE portrays Ambrose as an edgy carefree renegade who enjoys a good drink. Of course, he’s uber-over with the fans, so this was a perfect time to make the change and let the “Ambrose Asylum” lead the way. What better way to start the show off than to have a taxi with the rebel Champ to come out of, looking like he had a rough night? It was quite Ambrose.